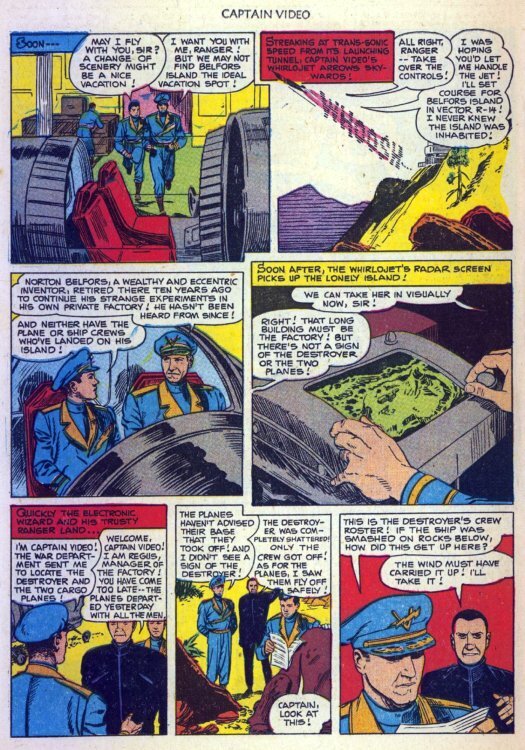 Secret Sanctum of Captain Video: Captain's Library: CAPTAIN VIDEO "Island of Conquerors"
Captain's Library: CAPTAIN VIDEO "Island of Conquerors"
...battling mechanized monsters who plot to take over the planet! 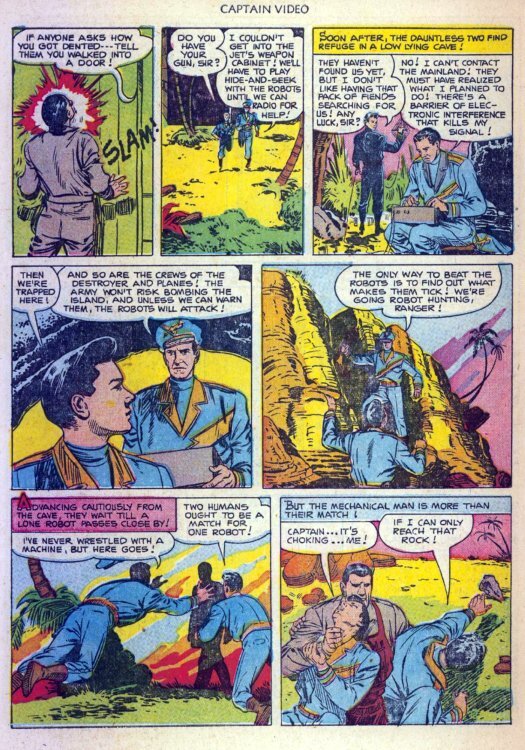 This story from Fawcett Comics' Captain Video #6 (1951) was penciled by George Evans and inked by Martin Thal. 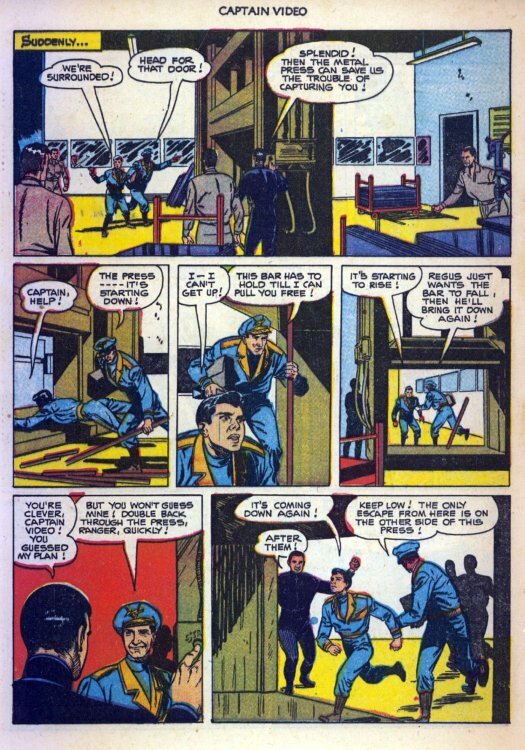 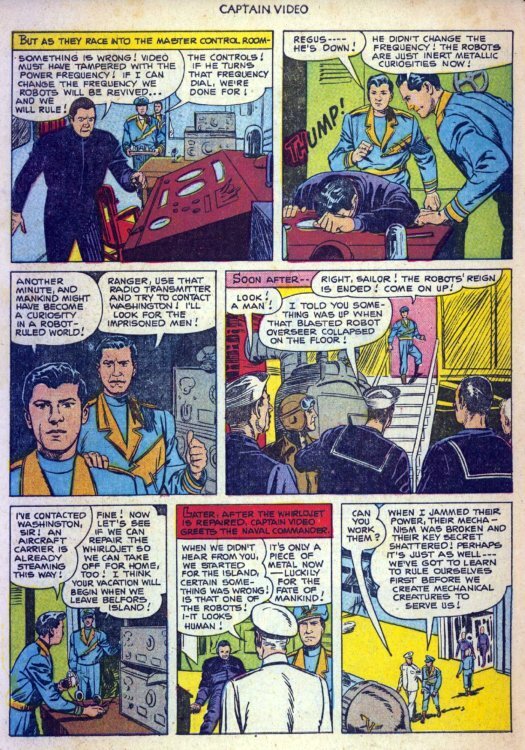 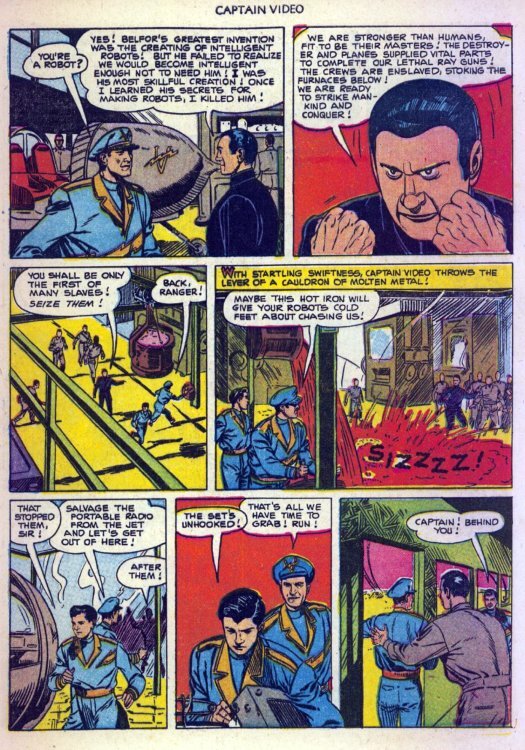 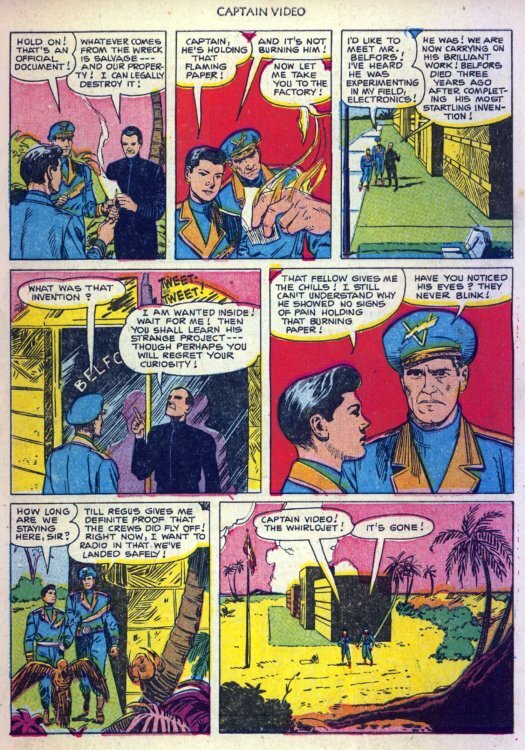 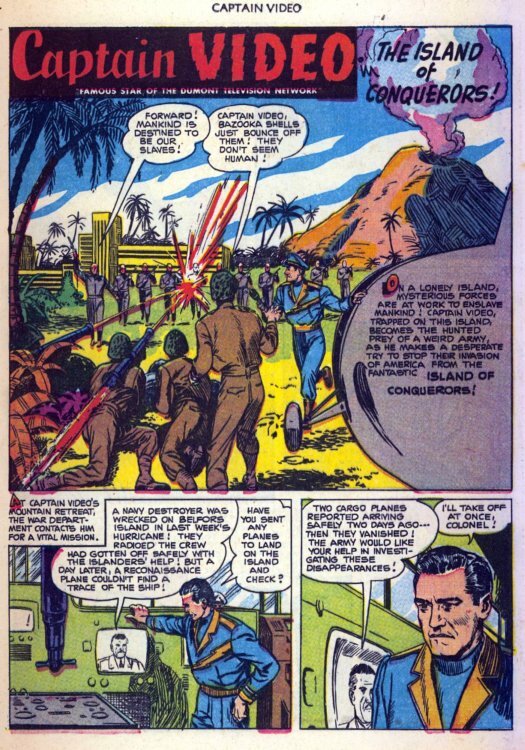 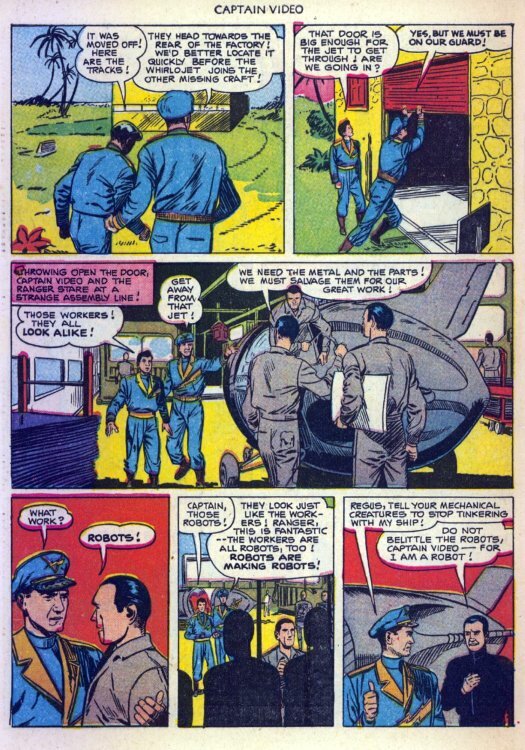 You'll note that the Captain and Video Ranger now look like actors Al Hodge and Don Hastings, who played them on TV, instead of the generic "handsome hero" look of issues 1-4. 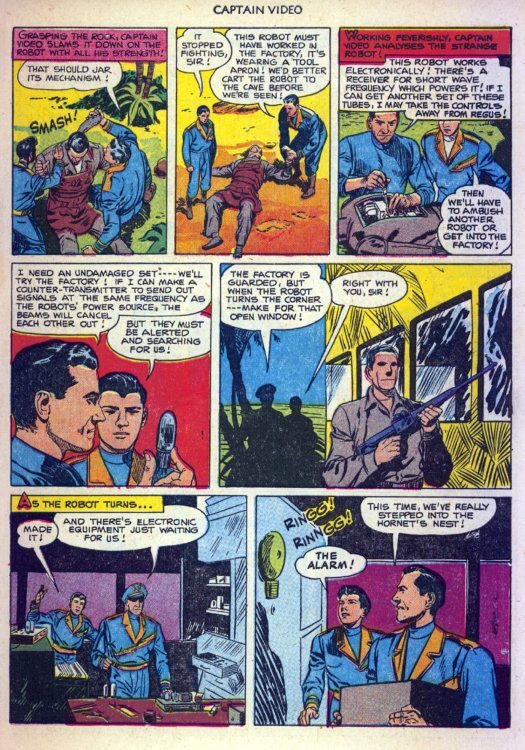 Unlike some of the more fantastic stories the comic produced, this one could have been done as a tv production, especially with the "human-looking" robots! 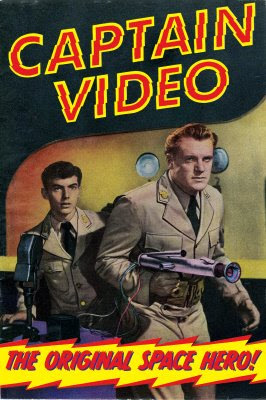 Great Post, you cannot go wrong with some vintage... Capt Video! 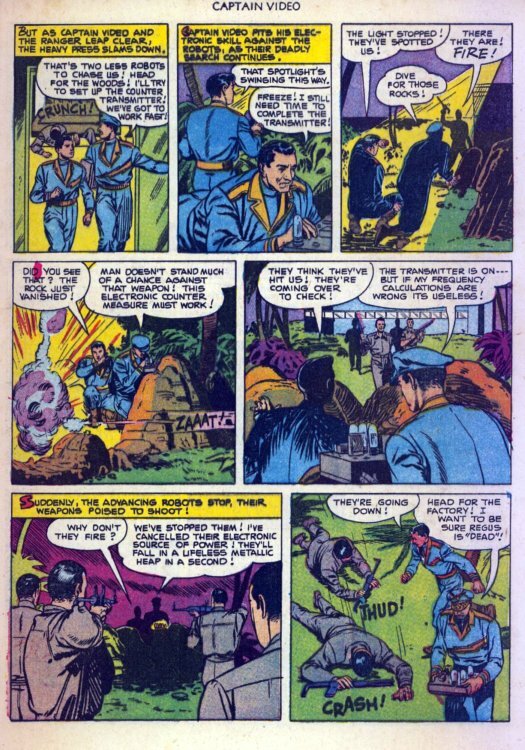 Visiting part of the "Countdown to Halloween"
I'd like to turn the captcha off, but there are too many spammers who'd post without it.